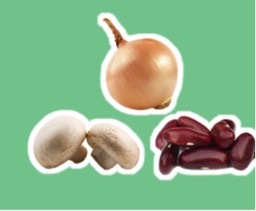 Substitute: Beans, oats, and veggies for red meat. Why: Use one ounce of ground beef per patty, and replace the rest with a mix of red beans, mushrooms, onions, oatmeal, and tomato paste-you'll get the same meaty texture with healthy, nutrient-dense substitutes. "Take the bad stuff out, put the good stuff in, and use them in a way that makes the food more interesting and flavorful," says Joel Fuhrman, MD, author of The End of Dieting: How to Live for Life. 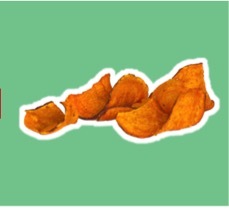 Substitute: Light-skinned sweet potatoes for fries. Why: Cut light-skinned sweet potatoes into rounds, season with sea salt and your choice of seasonings, and bake. Like orange sweet potatoes, these spuds are higher in fiber and have a lower glycemic index than white potatoes, so they won't spike your insulin, says Devin Alexander, New York Times bestselling author and The Biggest Loser chef. Substitute: Cinnamon for sugar. 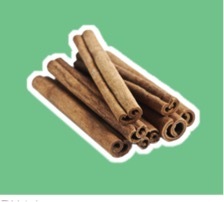 Why: The spice amplifies added sweetness (vanilla does, too), so desserts might only need half the called-for sugar, says Anjali Shah, health coach and The Picky Eater blogger who uses this trick in her low-fat breakfast muffins. Start with a teaspoon and add to taste from there. The end result, says Shah, will be "less sweet, but with other spices and salt, you can trick your taste buds into thinking there's more sugar than there is."